Let’s stop deceptive sugar labeling now! Action Alert! We need labeling in teaspoons, not just grams. Who knows how much a gram is? If someone is caught putting cocaine in a child’s snack pack, they go to jail, as it should be. Yet an entire industry has been hiding copious amounts of highly addictive, poisonous sugar in our food. It may sound outlandish, but it’s true: for years, Big Sugar has been actively working to get Americans addicted to sugar, which is more addictive than cocaine—and not just through traditionally sweet items like candy. Now, foods that masquerade as health foods—low-fat yogurt, sports drinks, and many others—are loaded with sugar, and it’s making us drug-addicted and obese. Big Sugar can get away with this in large part because they can obscure the amount of sugar in a product by listing it in grams, rather than a more relatable measurement like teaspoons. The food industry has engineered us to crave sugar. Industry insiders all but admit that the responsibility for today’s obesity epidemic lies largely at their feet. Tremendous amounts of research and investment have gone into making foods not just tasty, but so irresistible that consumers cannot control their cravings. For example, food companies have added sweetness to foods that aren’t typically sweet: bread, pasta sauce, and yogurt are loaded with sugar. The food industry intentionally creates products with the right “bliss points” of sugar in the hope that we get addicted, continuously buying their junk. In fact, studies have found that rats prefer sugar to cocaine—even rats that are already addicted to cocaine. A single cup of low-fat yogurt can contain up to 47 grams of sugar, which is 12 teaspoons. The list goes on. The point is that, most people would not add twelve teaspoons of sugar to their yogurt, let alone 25 teaspoons of sugar in their coffee. The only way you can get most people to consume that much is by obscuring the information, which is what putting it in grams on the nutrition facts label does. It should be noted that our addiction to sugar has in part been fueled by dieticians on the take from Big Sugar. The main narrative pushed by Big Sugar is that a calorie is a calorie, and obesity is a result of “energy imbalance.” Coca-Cola funded a non-profit to pedal this idea, but the government is doing it for them, too: the National Institutes of Health (NIH) website lists “energy imbalances” first in a list of the causes of obesity. We’ve noted the crony ties between the Centers for Disease Control and Prevention (CDC) and Big Sugar in previous articles. Registered Dietitians are in on this too. The trade association for Registered Dietitians is the Academy of Nutrition and Dietetics (AND), an organization that lists Coca-Cola, PepsiCo, and Kellogg’s among their corporate sponsors and that has endorsed Kraft Singles and small cans of soda as a snack. The game is rigged when the so-called “experts” telling us what to eat accept large contributions from companies pedaling sugar. The same is happening all over the world. 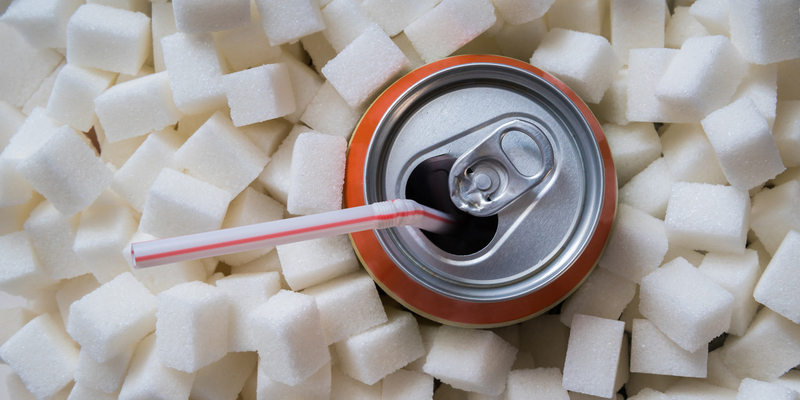 A recent investigation in Australia found that Big Sugar is using general practitioners to push industry propaganda disguised as dietary advice. A “fact sheet” sent to doctors from Kellogg’s, for example, advised a diet high in carbohydrates to patients with type-2 diabetes—advice that “borders on insanity,” in the words of one physician. Most people know that sugar causes Type 2 diabetes, and that Type 2 diabetics have a higher risk of developing Alzheimer’s. However, study after study is demonstrating that Alzheimer’s may actually be another form of diabetes. Sugar dumbs you down. A 2012 UCLA study showed that rats fed a sugary diet had a decrease in brain energy metabolism and synaptic activity. Sugar damages your heart. Recent research has found a direct, independent link between sugar overconsumption and heart disease. In light of these dangers, it is time to change how sugar is labeled on food packages. The FDA recently began revamping the nutrition facts label. It included reforms such as using larger fonts to indicate the serving size, servings per container, and caloric information, eliminating “calories from fat” since the type of fat is more important than the amount, and adding an “added sugars” line as a subsection of total sugars. These are some positive steps, but not enough—listing added sugars in grams continues to obscure the real sugar content of the food. Action Alert! Write to Congress and tell your representatives you want sugar labeled in teaspoons rather than grams. Please send your message immediately.